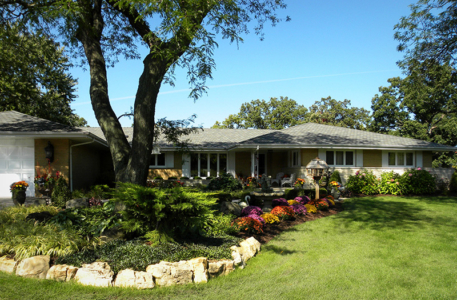 When the owners moved into this home it was covered with over 40 years worth of overgrown plants. To create an entirely new look. 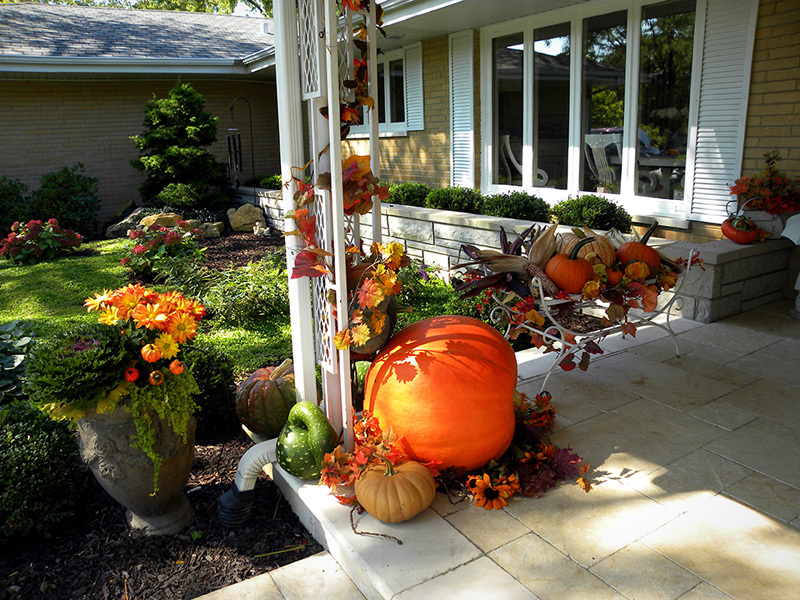 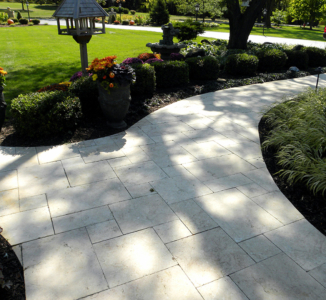 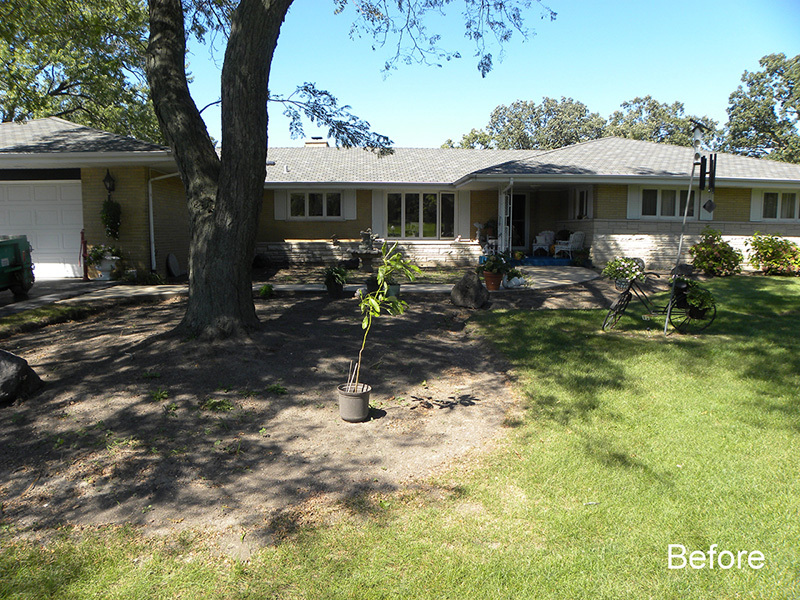 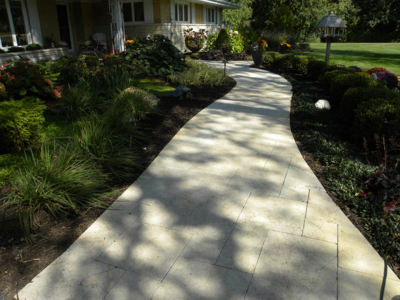 The front walk and porch were covered with beautiful cream colored stone. 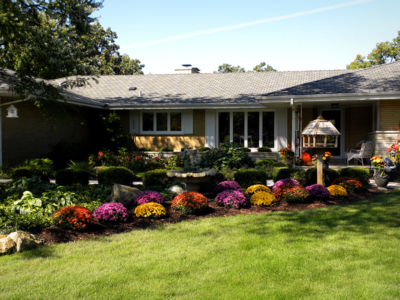 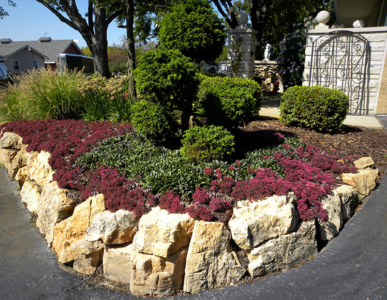 Undulating planting beds with dramatic curving lines were designed while flowering trees, shrubs, perennials, and bulbs were planted to provide color from spring to fall. 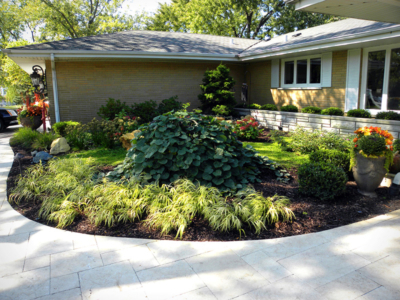 Evergreens were incorporated throughout the design to provide year-round color and texture. 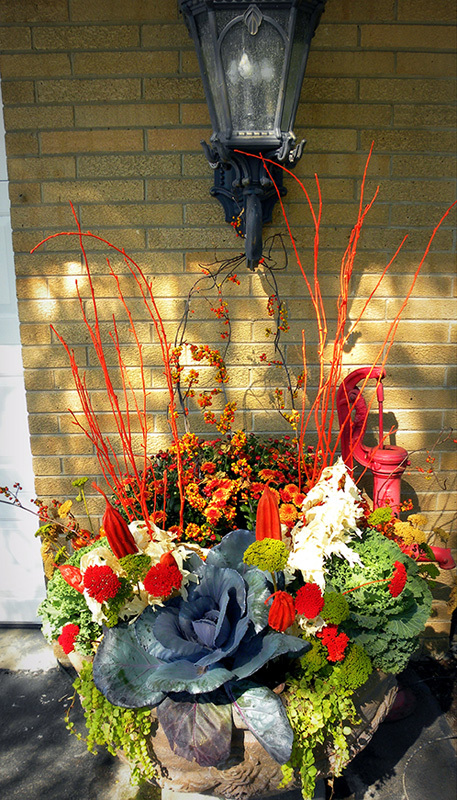 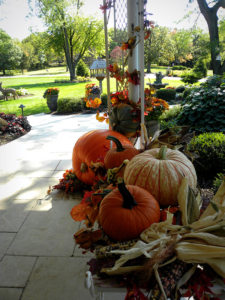 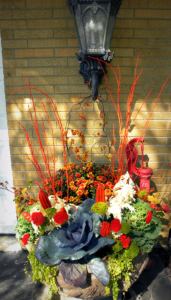 Carefully selected containers were strategically placed and filled with rotating, seasonal displays. 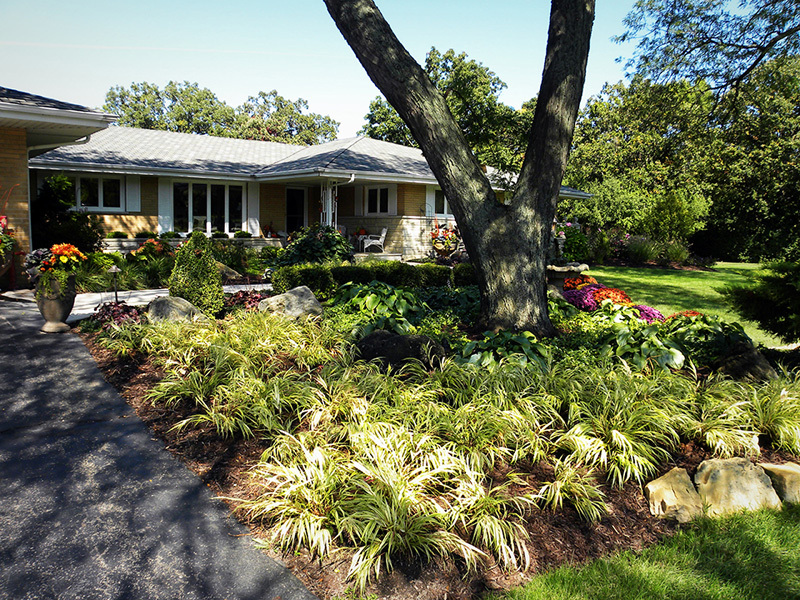 The owner’s love of tropical plantings, Banana trees, and cordyline inspire the summer theme. 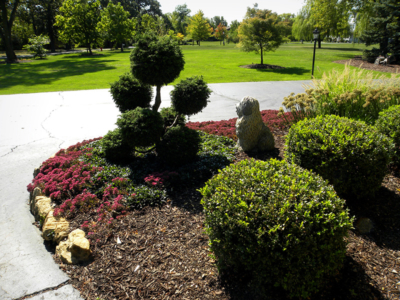 Smalls also installed irrigation on the entire property including drip irrigation in all the containers.